Human productivity is increasingly dependent on interaction between persons and equipment. Human machine interfaces (hmi) enable workers to work with a piece of automation equipment via an interface rather than switches and levers. 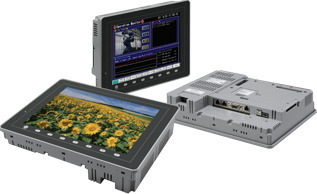 Hmi is the convergence of visual computing and automation control systems. Industrial automation hmi systems usually consist of lcd panels, often with touch screen capability, mounted on the control consoles of industrial automation equipment. Displays images from a video camera on V8 and outputs suond files through external speakers. Displays PC images on V8 on V8 and outputs sound files through external speakers. Displays RGB images such as PC images through two channels on V8. Temperature controller and inverter etc. TELLUS enables system monitoring and operation while away from the production site, and V-Server allows you to collect data and issue instructions from a remote location.